We’ve all been there many times. 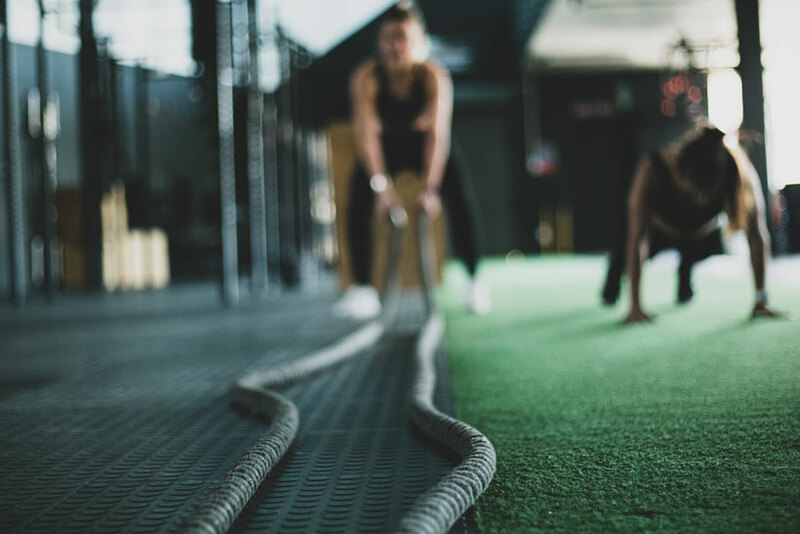 Getting back in shape and hitting the gym the first day after some time off makes us feel horrible the next morning when, no matter which way we move, we hurt. This often discourages us from continuing with our fitness routine or in some cases, can even have more serious health consequences. However, there are pre- and post-workout treatments to ease the pain and speed up the recovery process. Vigorous fitness routine comes with a price, better known as the infamous muscle soreness. Although we sometimes masochistically boast about it, feeling proud of the results, most times, it’s unpleasant and hinders our fitness plan. This is why you need to read the tips below and start considering recovery as an essential part of your healthy lifestyle. Working out doesn’t have to be a pain. While muscle soreness is good, you need to ensure that it does not impact your progress in the gym. Here are six tips to help you ease the post-workout pain to keep you moving forward. This is one of the most effective and immediate ways of both preventing and recovering sore muscles. Take 5 to 10 minutes and stretch before and after the workout. It may seem like a time-wasting and boring activity, but it’s super-important for your workout stamina and achieving desired results. If you’re fed up with basic stretching exercises, try yoga or tai chi, for both mental and physical relaxation and relief. Contrast water therapy has been used among athletes for some time now. Alternating hot and cold showers helps flush out waste products in the tissues by repeatedly constricting and dilating blood vessels. Contrast water therapy, besides reducing muscle soreness, is also beneficial for our skin and hair. However, another and perhaps more effective, yet more extreme, is ice bath. Jumping in a bath filled with ice immediately after a workout can stave off muscle soreness and prevent you from taking a day off at the gym. Additionally, if you fail to notice the upcoming soreness, applying ice topically will help you fight it the next day. Icing decreases inflammation and therefore makes the recovery period much shorter. Opinions on nutritional supplements are divided, but there is literally no harm in using them. After depleting your energy stores with hour-long workout session, you need to refuel if you expect your body to recover and be ready to hit those weights again in a day or two. This is why, besides healthy recovery food, you might want to consider post-workout supplements such as protein powders and mineral magnesium tablets. They can help you achieve and maintain gym results more easily. Complete your gym bag with a couple of protein bars and a shaker bottle that you can use for all sorts of vitamin mix refreshments and nutritious shakes. There are all sort of massages that can significantly reduce muscle soreness and pain. Self-myofascial release (SMR) or, so known, self-massage, with foam rollers, massage sticks and even baseballs is very popular nowadays, and for a good reason. It proves to do wonders for many gym-goers, reducing muscle stiffness and pain, promoting circulation and a state of muscle relaxation. It can also remove scar tissues and restrictions in the fascia. However, for frequent and soreness, even at-home oil massage can do the trick! It feels like this can never be emphasized enough. Hydrate! And then hydrate some more. Exercising increases metabolic rate and consequently our body’s need for water and electrolytes. Besides the minimum dose of fluid intake per day, we must replenish the water we lose while vigorously working out. Dehydration delays the recovery process, so make sure you always your water bottle with you both during and after the workout. Regular workout makes you energized and ready to take on daily challenges. However, it also requires you to take better care of your sleep and rest schedule. While we’re sleeping, our body produces growth hormone, which is largely responsible for tissue growth and repair. So, treat yourself with a good night’s sleep after a successful series of exercises and sore muscles as a result. Whether you’re an occasional runner or a gym fanatic, muscle soreness and pain will keep happening unless we learn how to prevent it from happening or minimize the consequences. Incorporate these treatments in your weekly fitness routine for a healthy, strong, and energetic kick-off this season.